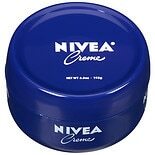 Shop Nivea Skin Creme (6.8 oz. )6.8 oz. $749$7 and 49 cents$1.10 / oz. 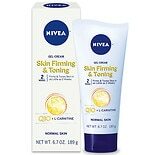 Shop Nivea Body Skin Firming & Toning Gel Cream (6.7 oz. )6.7 oz. $1249$12 and 49 cents$1.86 / oz. 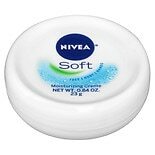 Shop Nivea Soft Moisturizing Skin Creme (.84 oz. ).84 oz. 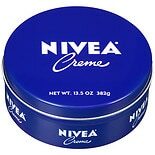 Shop Nivea Creme Tin (13.5 oz. )13.5 oz. $799$7 and 99 cents$0.59 / oz. 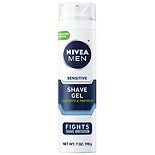 Shop Nivea Men Shaving Gel, Sensitive Skin (7 oz. )7 oz. $419$4 and 19 cents$0.60 / oz.